(Nanowerk News) They are light yet stronger than steel, as a semiconductor they are more efficient than silicon, and they conduct electricity better than copper: carbon nanotubes. 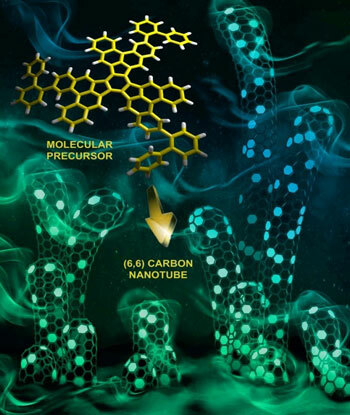 For the first time, a team of international researchers, some of whom are based at FAU, have grown single-walled carbon nanotubes in a targeted way. It is hoped that their method could pave the way for new materials which could be used in light detectors, photovoltaic components, transistors or sensors.